Kawasaki’s Versys 1000 is a hugely capable tourer, whether you’re looking for some solo fun to a two-up, fully loaded tour across Europe. Next year the Japanese manufacturer is releasing an updated version of the bike, with a re-designed 1043cc engine, electronic suspension and a whole host of other top riding tech. A few years ago, the Versys was a bike in the midst of an identity crisis. It was billed as an adventure bike, but the tyre sizes and choice of original equipment rubber said otherwise. It’s all change now though, and the most recent versions have lost all hint of any off-road pretension, and the bike is all the better for it. 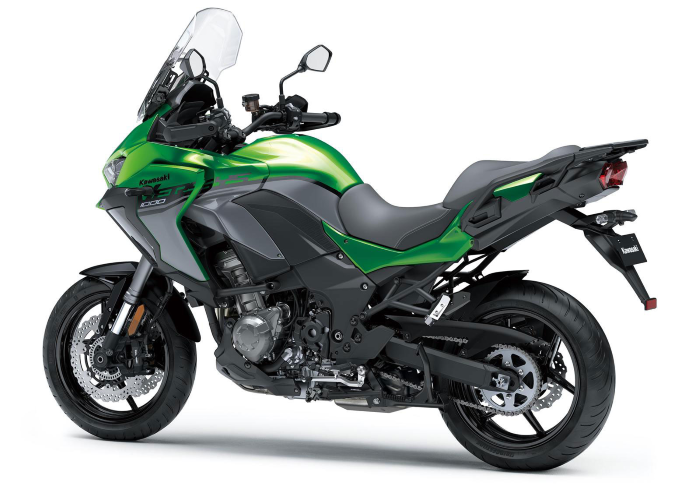 The new Versys 1000 will include Kawasaki’s electronic Cornering Management Function and Intelligent ABS, with the SE variant also getting a Kawasaki Quick Shifter and Electronic Suspension Control. It’s sporty 17-inch wheels will be fitted with Bridgestone latest sport touring tyre, the Battlax T31, at the factory. 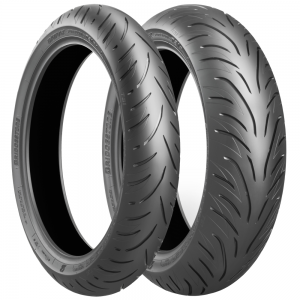 The Battlax T31 is a premium level tyre ideal for long distance touring and spirited all-weather road riding, so it is an ideal match to the latest Versys 1000. We’ve tested them for ourselves, both in the mountains of Morocco and the rain soaked twisties of Wales, and we can confirm that they are an excellent all-rounder and well worth your hard earned cash if you want to make the most of your bike! View the full range of Battlax T31 sizes here.